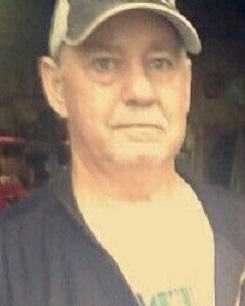 Randall Tungate, 58, of Illiopolis, IL passed away at 7:00 A.M. Thursday, November 23, 2017, at his home. Randall was born on July 19, 1959, in Kentucky, to Milburn and Hallie Tucker Tungate. He married Debbie Reinhart in Lincoln, IL. He later married Fawndalin Boyle on May 31, 1996, in Lincoln. She survives him. Also surviving are two daughters, Crystal Ann Tungate and Kasey Marie Tungate, two sons Dustin Boyle and Gary Boyle, four sisters, Mary Lou (JT) Noe of Bradsfordville, KY, Debbie (Gary) Brandt of Lincoln, IL, Ann (Mitch) Rohlfs of Lincoln, IL and Susie Tungate of Shawnee, OK, three brothers, Jr. (Diane) Tungate and Glenn Tungate, both of Lincoln, IL, and Hoagie Tungate of Lebanon, seven grandchildren and two great-grandchildren. He was preceded in death by his parents and three brothers, James, Robert and Sandy and one sister Marsha. Randall was a welder at Trall Carr and Matcor Metalcraft. He had been a welder for 35 years. There will be no services. Memorials may be made to the family of Randall Tungate. Fricke-Calvert-Schrader Funeral Home in Mt. Pulaski is entrusted with arrangements.